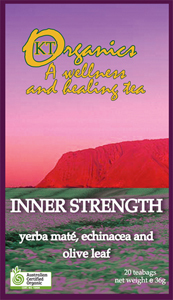 Contains rooibos tea, wild yam, astragalus and red clover. Helpful to women of all ages. 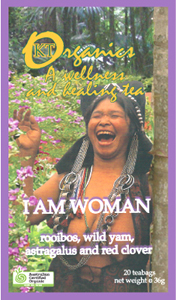 I AM WOMAN organic tea contains rooibos tea, wild yam, astragalus and red clover. 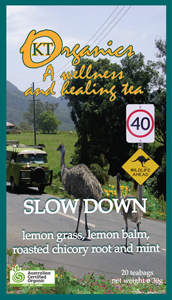 We have long wanted to make a woman’s support tea, and have carefully considered an effective formula which may be helpful to women of all ages. 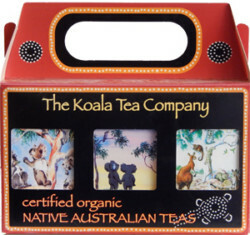 Rooibos contains a powerful antioxidant which is said to retard aging. It can be helpful with allergies and is used to clear the skin. Astragalus has been used in China as a liver and kidney tonic since the first century AD. Wild yam is an anti-inflammatory, which may be beneficial in women’s complaints like painful menstruation, morning sickness and ovarian pains. Red clover may help with chronic degenerative problems. It is caffeine free and delicious with some honey.